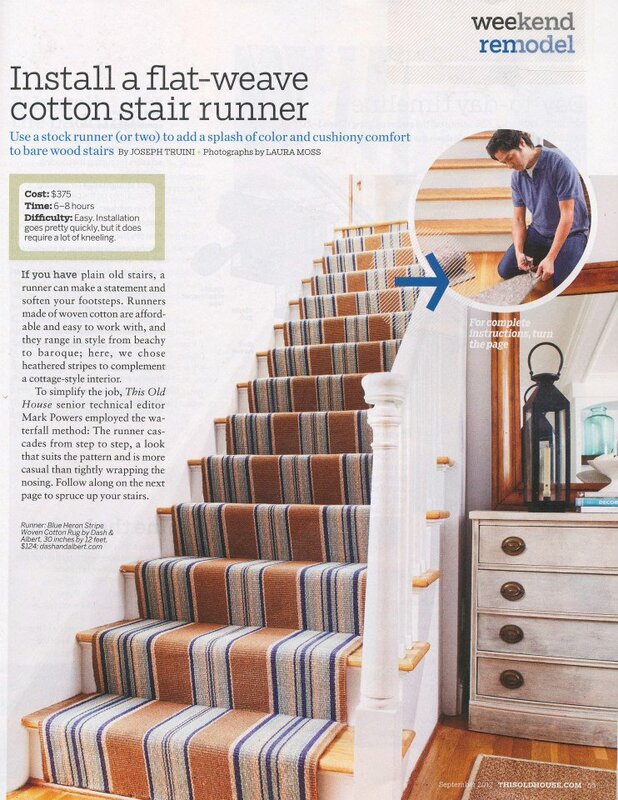 In the September issue of This Old House magazine they shared the secret to turning one of Dash & Albert’s fabulous rugs into a stair runner. We love the well wearing style of their rugs and runners, and think they are definitely great for high traffic halls and stairways. You can see the rest of the article here on Dash & Albert’s Facebook page.